Translated from Portugese: "THE MOST FAMOUS HEDGEHOG IN THE WORLD IS BACK!! 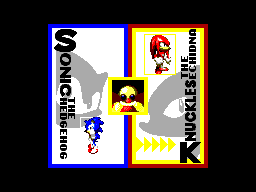 Sonic, Knuckles, and the whole gang are portrayed perfectly in this 8 meg cartridge for the Master System! 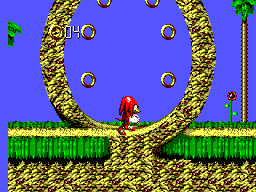 The evil Dr. Robotnik has stolen the Chaos Emeralds and only Sonic and Knuckles will be able to stop him. 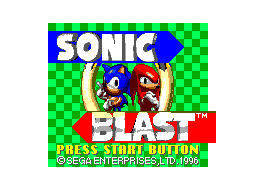 But don't worry, Sonic now has some special tricks up his sleeves: new maneuvers and power-ups to defeat the evil doctor!"